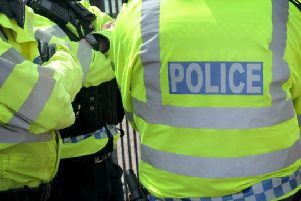 More than 30 police officers and civilian staff were used to investigate the alleged false imprisonment of a young man in a Leamington drug house, and eight people ended up being arrested. Because of fears for his safety, Connor Handford was put up in a hotel out of Warwickshire, at public expense, during the investigation before his story was uncovered to a lie. As a result, he ended up being arrested himself, and at Warwick Crown Court he pleaded guilty to doing acts intended to pervert the course of justice. Handford (19) of Bradestone Road, Nuneaton, but who was living at a hostel in Newbold Street, Leamington, at the time, was jailed for eight months. Prosecutor Trevor Meegan said that in April last year Handford reported to the hostel manager that he had been the victim of a false imprisonment. He claimed he had been held in a house against his will, subjected to threats of violence and coerced into selling drugs, so the police were contacted. Handford was interviewed, and told officers he had been held at an address in Avenue Road, Leamington, where he had been forced to sell crack to pay off his mother’s £6,000 drug debt. Mr Meegan said he made a detailed complaint in which he described having been held at the flat for a week-and-a-half by more than one person whose names he gave to the police. Because of fears for Handford’s safety, the police took him away from the area and, at public expense, put him up in a hotel in Banbury over the Bank Holiday weekend. Meanwhile the flat in Avenue Road was subjected to a detailed investigation by a team of five scenes of crime officers. The investigation also involved 27 other officers and civilian staff, some of them having been called in from leave, and eight people were arrested, six as a direct result and two others during the investigation. But the examination of the flat revealed no bucket, no hatch in the door, and no bolt or lock on the outside of the door. So Handford was spoken to again, and admitted that he had ‘not been entirely honest,’ said Mr Meegan. He said he had been dealing drugs for three men, and had given the money he made to his mum because of her drug debt. And when she was spoken to, she said she had seen him recently and that he had been selling drugs, and that although he was at the flat, he was free to come and go as he pleased. When Handford was arrested and interviewed again, he admitted he had lied because he had become worried about selling drugs and feared for his safety after being blamed for some drugs going missing from the flat. Claire Evans, defending, said Handford had been under pressure to sell drugs to help his mother, with whom he had become reunited after being in care until he was 18. “He was so terrified of getting himself into trouble, seeing the trap he’d fallen into, he claimed he’d been imprisoned. “This is desperately sad. He cannot apologise enough. He has learned a hard lesson, that he must cut his mother free, and that he has done. Pointing out that a pre-sentence report had suggested Handford could be given a second chance, she said his life had changed since the offence, and he had the offer of full-time work and his partner is expecting their first child in April. But Recorder Mark Watson told him: “You said you had been detained for a week-and-a-half and had been forced to sell drugs. “Those were serious allegations, and they were treated as serious allegations by the police, and it was considered there was a risk to your life and steps were taken to protect you. “The address was cordoned off for two days while scenes of crime officers examined it and enquiries were carried out, and 32 officers worked over the weekend on account of your allegation. “Eight people were arrested as a result of what you had to say. Whatever the background of these men, they were, as far as the allegations you had made, innocent of those crimes. “Your mother, a known drug-user, had brought you into contact with unsavoury characters, and I accept you were out of your depth with those people.